If you have ever taken any of the KU Strategies trainings, then you know how user-friendly these are with your students! 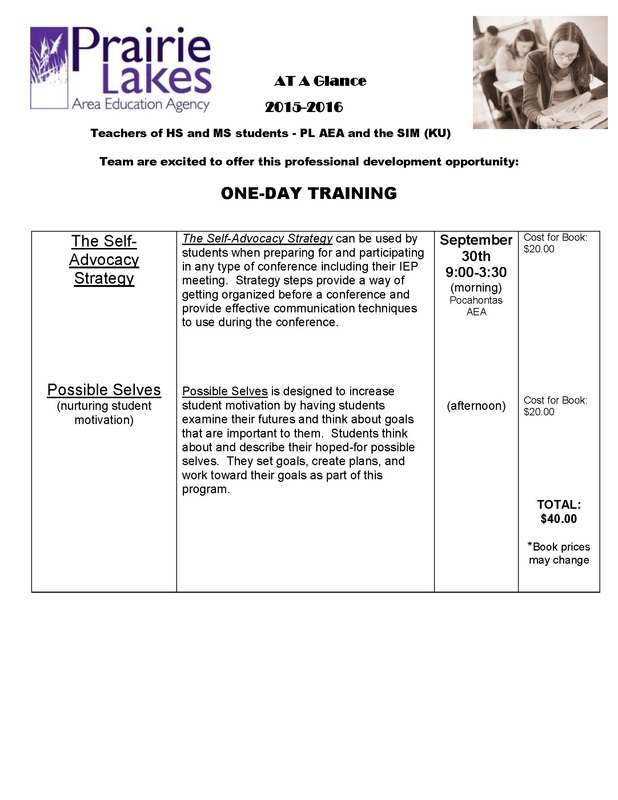 Just wanted to share that there is a new one-day training on “self-advocacy” and “possible selves” coming soon on September 30th. Please see the flyer below for more specific details, as well, as, how to sign up so you can attend. These are both important skills that students need to transition smoothly and fits well into 21st century skills! Sign up today! Please contact Julie Meyer if you have questions (jmeyer@plaea.org).